Back to finishing my Drow army and I have managed to knock out a few more Champion models. Firstly a quick kit bash, my conversion of Drizzt DoUrden. 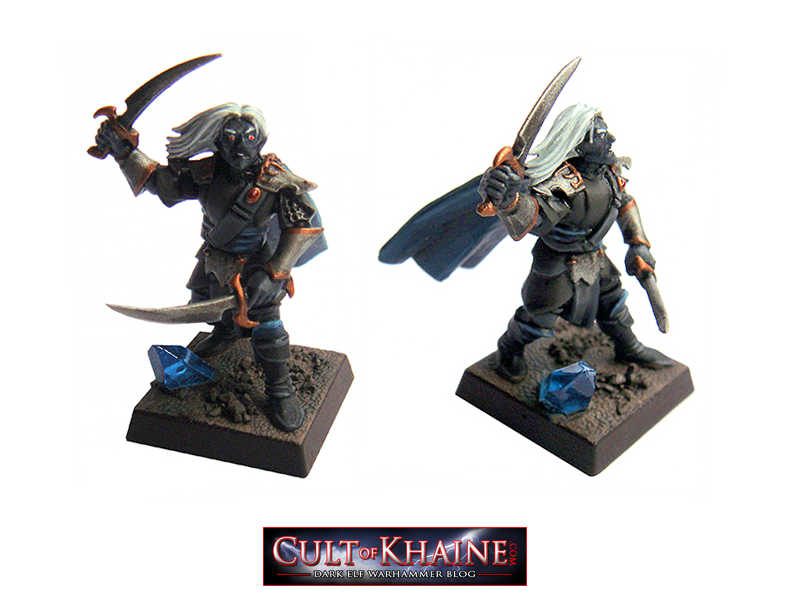 I had a few bits kicking about and thought what is a Drow army without this fine character. I can proxy him for a Hero or Lord. 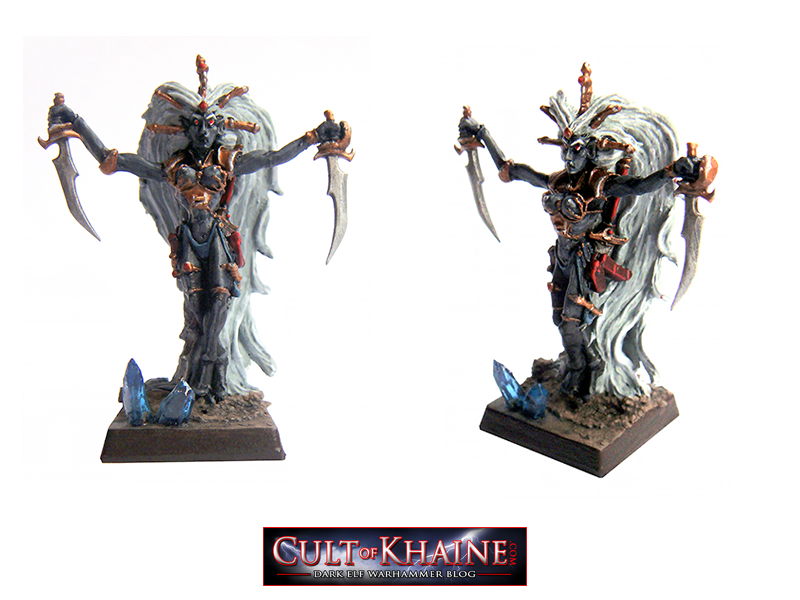 High Priestess of Lolth - can't remember where I got this model from, works as a nice Death Hag for the army. Finally, meet the Illithad, the Mind Flayer. Nice simple conversion, I borrowed the idea from somewhere else on the web I saw on another forum. Hi greetings from Germany. Great blog. Where did you get the Illithid? 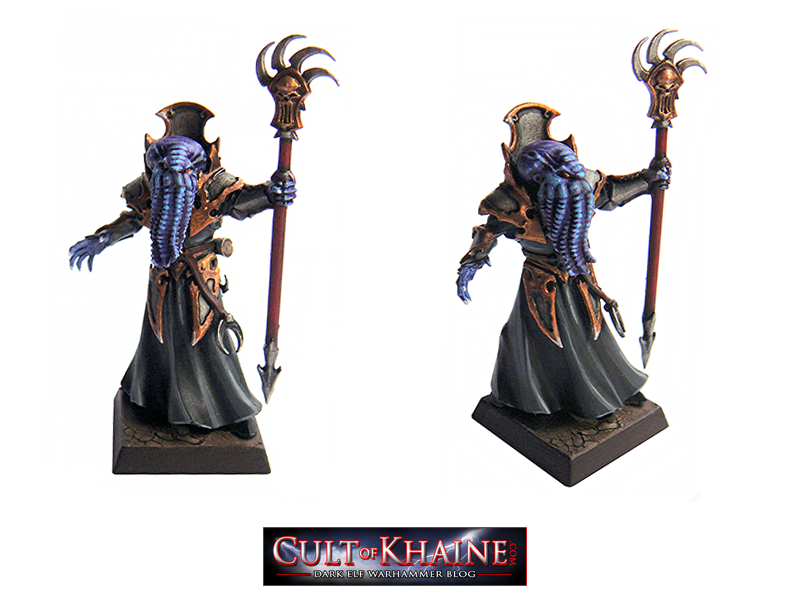 Hi Thanks for the comment - the illithid is a conversion I did. The head came from a 40k Genestealers head - try ebay!